A reminder that GLIDE will be released today. 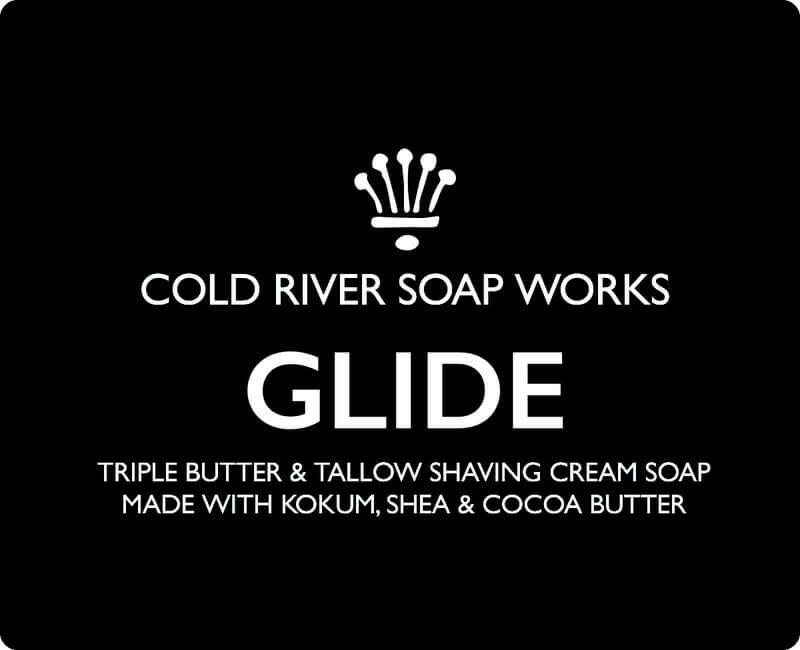 HAPPY HOLIDAYS from COLD RIVER SOAP WORKS!!! Looking fwd to giving it a try. Good luck with the release of the new line Larry. 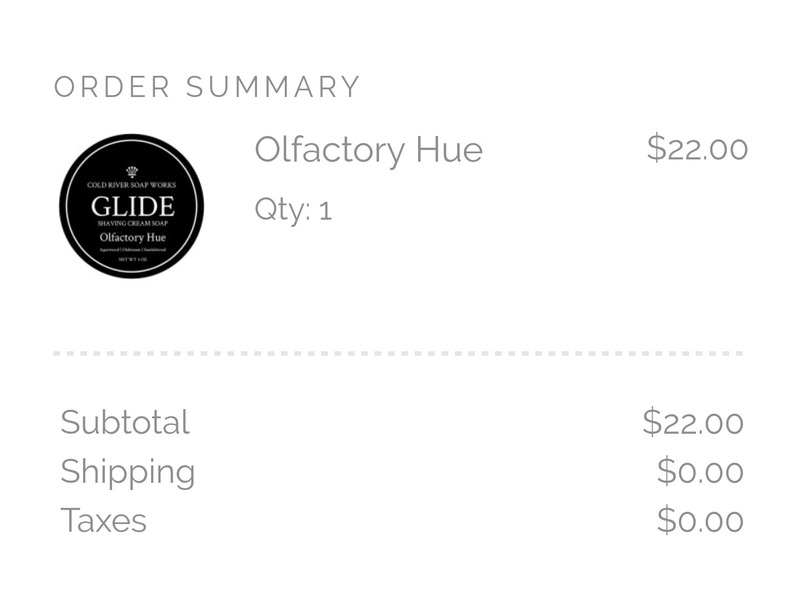 I ordered the Olfactory Hue. Olfactory Hue and Madman's Bouquet incoming! Went with Madman's Bouquet and looking forward to it. Yes, this was the first scent to sell out. Thank you to all who supported us today! I honestly was not expecting everything to sell out so quick! Those that were not able to shop in time, don't worry, we will have more ready in a couple of weeks. Wishing everyone here at TSN a Happy Holiday! (11-22-2017, 03:51 PM)ColdRiverSoap Wrote: Thank you to all who supported us today! I honestly was not expecting everything to sell out so quick! Those that were not able to shop in time, don't worry, we will have more ready in a couple of weeks. Thank you for constantly innovating and improving. If not for guys like you, we'd still be crossing the country in covered wagons. Wow. 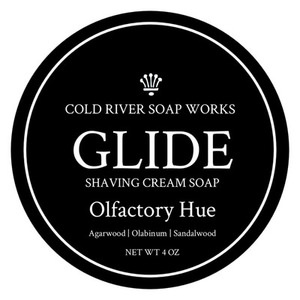 One day, three soaps, sold out...pretty amazing. I'm glad I got some...but happy to know that you'll be providing the market with a consistent, reliable supply, which means a lot. Congrats on the sell out Larry! I got my order for Olfactory Hue placed right at the opening bell. Guess I was lucky not to wait. Ordered all three!! Can’t wait!! Thanks guys, as I said a few days ago, we have more GLIDE on the way!